Traveling literally from “sea to shining sea,” Jennie has entertained audiences all over the world including: The US Army, South Korea, RCCL, Princess, Holland America, Regent Seven Seas Celebrity Cruise Lines and most recently Carnival International. Having studied Musical Theater on scholarship at the prestigious American Musical and Dramatic Academy after high school, some of Jennie's favorite roles include: Betty Rogers in Will Rogers Follies, Dorothy in the Wizard of Oz,Patsy in Crazy for You, Chavalla in Fiddler On The Roof, the Stowaway in the original show Rockin' the Boat and Stephanie Mangano in The Broadway National Tour of Saturday Night Fever! Jennie is currently in Murfreesboro, Arkansas running our new location. At nine years of age, Kelli began performing professionally in Musical Theater at the TCC Music Hall working for the prestigious Southern Arizona Light Opera Company. At just 11, she was cast as Baby Louise in Gypsy with Tony award winner, Betty Buckley, playing Mama Rose. Kelli continued worked solidly in stage, film, TV, and of course with Kids Unlimited throughout her teen years doubling as the groups’ choreographer and teacher; all while honing her skills in voice and dance. Some of her favorite credits include West Side Story, 42nd St, and Crazy for You. She has sailed to over 30 countries as a lead singer, dancer, and Cabaret artist; continued regional theater, as well as choreographing and dancing for The Legendary Superstars at the Santa Ana Star Casino. Last year Kelli was a featured singer touring China with Art-i-fact dance project. Kelli’s passion for teaching extends beyond the big stage. She feels the most vital tools are taught in the classroom and KU's small shows. She hopes to empower each student with the tools necessary for a successful and happy future. 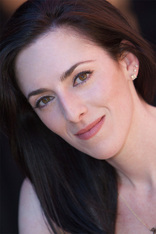 Kelli is also a certified Pilates Instructor with the Fletcher Company and is a regular instructor at Bodyworks Pilates. Recently, she traveled to Florida for the Pilates Method Alliance international conference to debut the Pilates Youth Program. To further her own skills, Kelli continues to study in voice and dance. In addition, she also recently received her Bachelor’s Degree in Human Services Management from the University of Phoenix. She graduated with a Masters in Counseling. Kelli and her husband BJ just celebrated their 10th wedding anniversary and are looking forward to many more.